Marvella was brought to us by Animal Control, with a traumatic injury that shattered one of her hind legs and badly damaged her elbow. 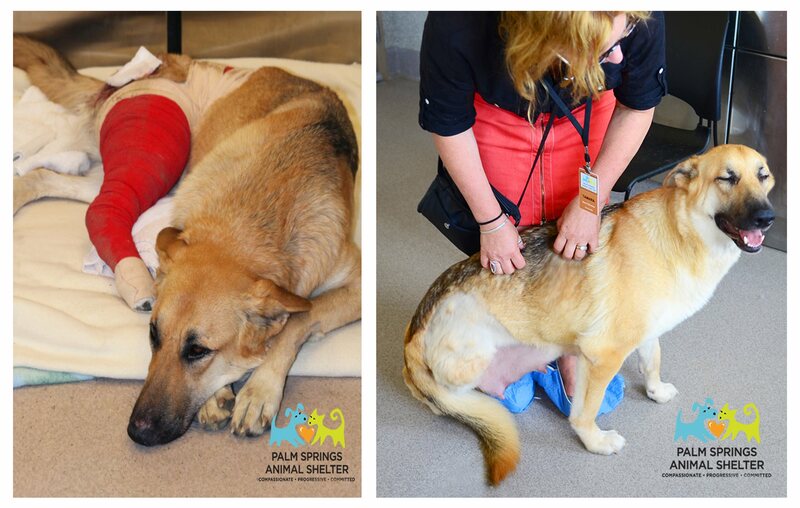 Our medical team did everything they could to save this sweet girl, including removing her hind leg. After surgery, Marvella went into one of our foster homes to heal. She healed very quickly, and soon proved to be a very happy, and silly, "tripod". During a follow up visit to determine if she was ready for her spay surgery, we discovered that Marvella was pregnant. So, off to our maternity suite she went and a few days later, Marvella gave birth to four babies! Marvella and babies returned to their foster home, and Marvella has been a fantastic mama. Marvella is one of our many success stories, thanks to your generous support and the unwavering compassion and efforts of our staff and volunteers. Thank you for believing that the compassionate way is the only way.